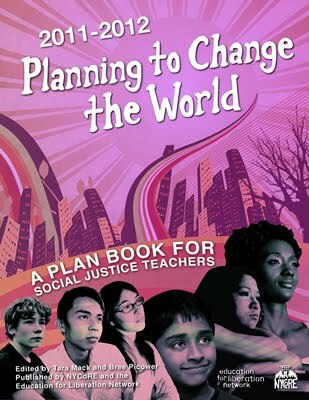 Teachers For Social Justice: Elected Representative School Board Bill PASSES in IL House! Elected Representative School Board Bill PASSES in IL House! The years-long battle to win an elected, representative school board for Chicago is one step closer to victory after the Illinois House gave overwhelming support to the measure in a historic vote today, March 3. Parents, teachers, labor groups, community organizations, and education justice organizations across Chicago have been pushing for the bill, which would take unilateral control of the schools away from the mayor and allow Chicago voters to elect their school board members. The bill, HB 0557, won by a bi-partisan landslide vote of 110-4, a tribute to the hard work of Rep. Rob Martwick, the bill's chief sponsor; 67 co-sponsors; House leadership; and the Grassroots Education Movement(GEM), the community coalition that has been pushing the measure for years. Elected school boards are the norm nationwide and here in Illinois. Chicago is the only district in the state where the mayor appoints school board members. Chicago parents, teachers and students understand that the current school board works for the mayor, not for the people the schools serve. Today's vote could usher in a new day of accountability and democracy in the nation's third largest school system, though we understand that an elected board is NO guarantee of democracy-it is only a condition for it, and an important marker in an ongoing struggle for justice and equity in education and ACROSS society. GEM organizations will now focus their attention on passing the bill in the Senate. Since mayoral control of schools started in the 1990s, and mayors began appointing school boards, NO education justice movement has successfully overturned this massive public disenfranchisement. Chicago's movement is on its way! Stay tuned, there will be plenty more to do! Find out who your IL State Senator is here. Find contact info for your IL State Senator here. GEM is a city-wide coalition of parents, teachers and community members dedicated to bringing democracy and accountability to CPS Member organizations are: Action Now, Blocks Together, Brighton Park Neighborhood Council, Chicago Teachers Union, CODE - Communities Organized for Democracy in Education, Communities United, Enlace, Grassroots Illinois Action, Jobs with Justice, Kenwood Oakland Community Organization (KOCO), Logan Square Neighborhood Association, Northside Action for Justice, Parents 4 Teachers, People for Community Recovery, Pilsen Alliance, Raise Your Hand, Teachers for Social Justice and United Working Families. April 1 #ShutDownChi Day of Action!